Ravenswood is said to be one of the loveliest homes in Inverness–a statement you’d be hard pushed to disagree with. 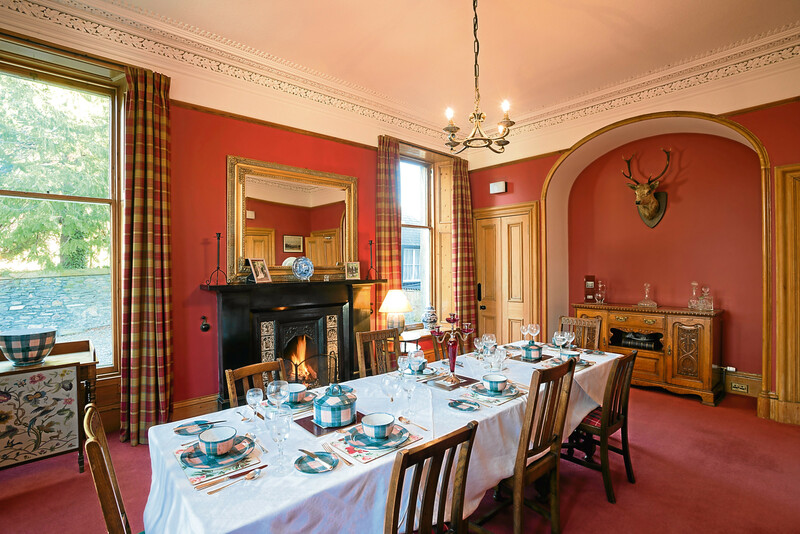 Set in the popular Crown conservation of the city, the large detached house is full of period features such as a trio of impressive stained glass windows which have been lovingly brought back to life; original marble fireplaces, high ceilings and elaborate plasterwork. 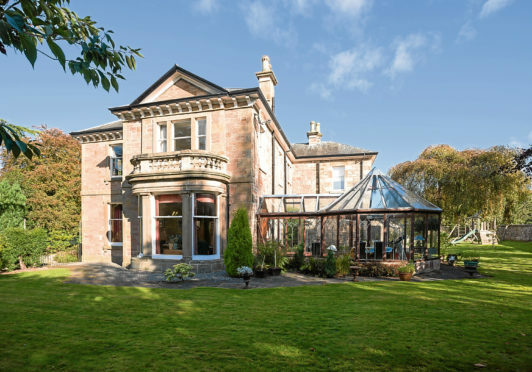 Surrounded by lush, landscaped grounds, this elegant home which, is thought dates back to 1882, has gently been brought into the 21st century by current owner, Dr John Miller. Although within easy reach of the city centre, the gardens surrounding the sandstone B-listed house on Southside Road, give it a rural feel. “I remember relaxing with a drink one day in the conservatory and when I looked out the window I saw simultaneously, a red-breasted Robin sitting on the windowsill, a red squirrel running up a tree and a female roe deer and her kid standing on the lawn! Originally from Edinburgh, John spent many years as a consultant in the Royal Army Medical Corps (RAMC), seeing action during the Gulf War, and serving in Northern Ireland, Belize, the Middle East, and Washington DC, America. “My role took me all over the world but what attracted me to Inverness was the installation of a new MRI scanner at Raigmore Hospital. People don’t give NHS Highland enough credit – I had world-class colleagues, great support staff and patients – a really fantastic job,” said John who was a consultant radiologist for NHS Highland between 2002 and 2017. Much of his spare time was spent restoring the house: “You never really own a house like this, you only look after it for a while,” he said. “When we moved here in 2002 the house was a bit tired, but what we are leaving is a lovely family villa. I spent more than £120,000 on restoration working including upgrading the plumbing, putting in a new central heating boiler, refurbishing and draft-proofing the windows, re-pointing the stone work and replacing the gutters and downpipes. “The house had some beautiful stained glass windows, but they were tired, saggy and letting wind and water in. I had them removed, taken away and re-made by a master craftsmen in Edinburgh who has family connections to the Black Isle. A wonderful addition to the home, the sparkling new-look windows are just one of several eye-catching features in this house which is on the market at offers over £800,000. The full accommodation comprises, on the ground floor, an entrance vestibule and hall, drawing room, sitting room, dining room, conservatory, dining kitchen, study, utility room, larder and two cloakrooms. On the first floor there’s a master bedroom with new en-suite bathroom, a second bedroom with en-suite facilities, four further bedrooms two of which share a Jack and Jill shower room, a family bathroom and linen store. 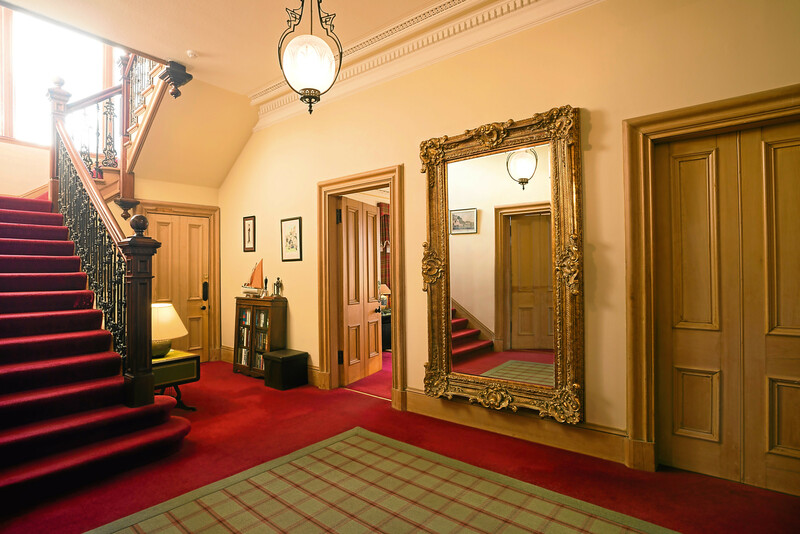 The elegant and stylish main reception rooms and formal dining room have all been tastefully modernised yet retain traditional features such as deep skirtings, marble fireplaces, tall sash windows, picture rails, cornicing and ceiling roses. 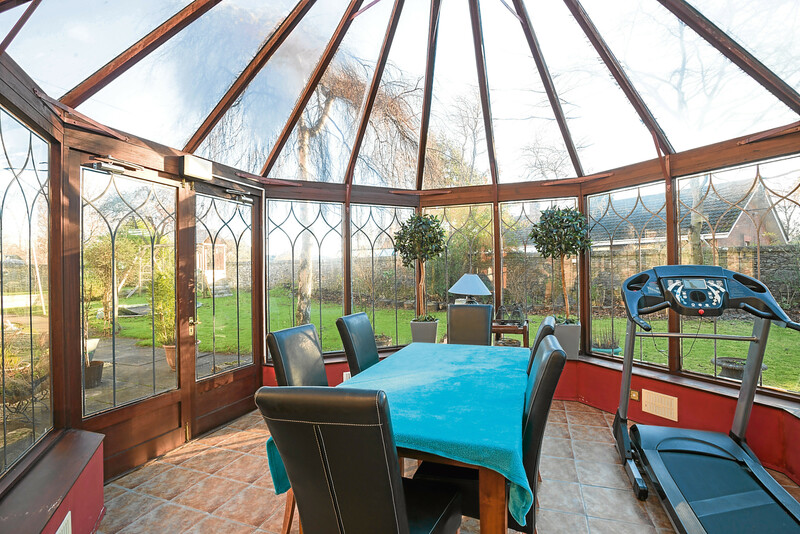 The conservatory, which has leaded windows and doors to the patio, is accessed via the drawing room. 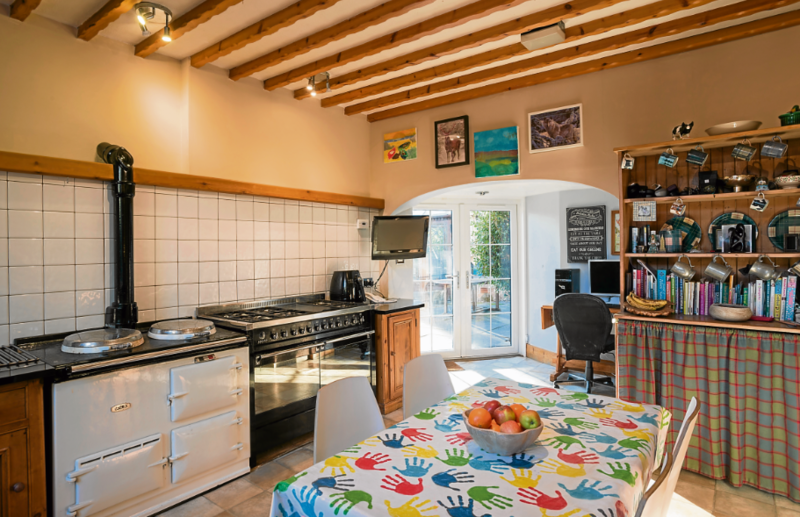 The dining kitchen has bespoke solid wood fitted units with high quality integral appliances, a Smeg two oven gas cooker and two oven Aga. Equally impressive is the grand staircase with wrought iron and timber balustrade and the recently fitted luxury en-suite bathroom attached to the master bedroom. “This is one of my favourite rooms in the house as from here you get superb views of the city’s Hogmanay firework display,” said John, who is dad to four boys, one of whom is severely autistic and brain-damaged. John, who now has a new partner, said: “Ravenswood was a wonderful home and one which gave you a great sense of space. It was valued at £925,000 three years ago and originally placed on the market for sale at offers over £875,000. The attractive, landscaped grounds extend to approximately 0.6 acres and are enclosed by stone walls and hedging. There’s a sweeping in-and-out driveway, formal lawns interspersed with mature trees and shrubs which give year round colour. 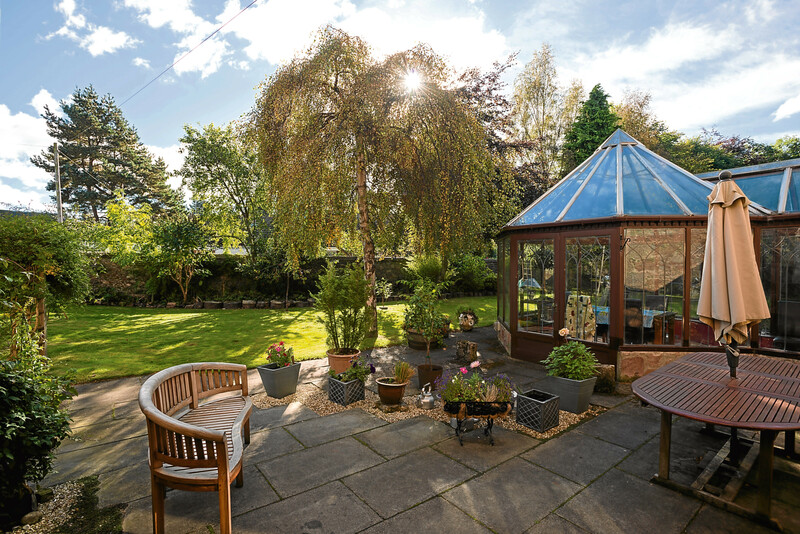 A large, flagstone sheltered patio which can be accessed from both the kitchen and conservatory, provides a sheltered and private sitting area. “Ravenswood offers an excellent opportunity for a family or a couple to secure a home in one of Inverness’s most sought-after streets,” said Phiddy. Contact: Galbraith on 01463 568020.